Most shop staff speak Japanese only, though some can communicate in English. 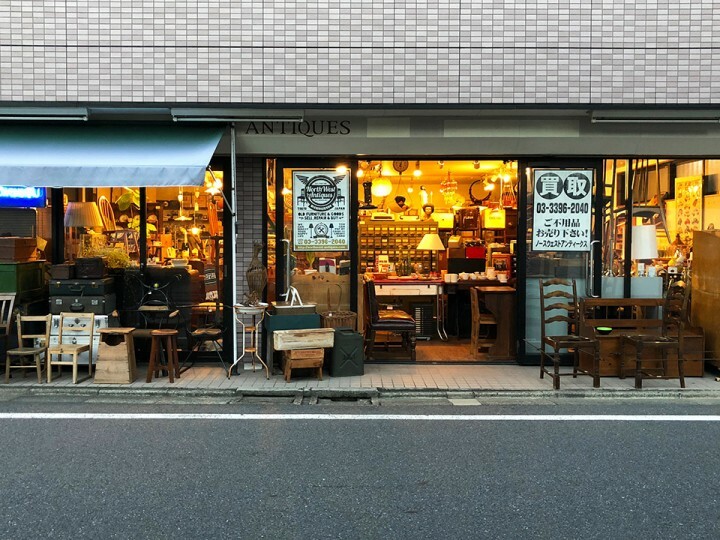 It seems natural that a relatively quiet, affluent, low-rise town like Nishi-Ogikubo should have antique shops, but to boast over 60 makes this is the Antique Hub of Tokyo. 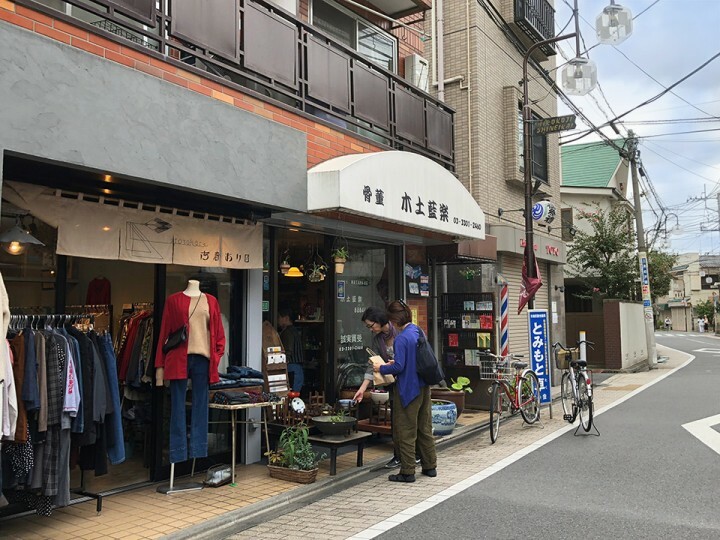 “Nishiogi” is blessed with a plethora of pre-loved antiques from the town’s classy, old family residences which have been downsizing and de-cluttering in the post-war decades. It would take a long time to get around to all of them, not to mention the large number of enticing second-hand bookshops and other fascinating small independent shops, so it is fortunate that there is cluster of around a dozen or so of the long established dealers on Kotto Dori (Antique Street) just a short walk from the rail station. How To Get There: Take JR Chuo-line (Orange) or Sobu-line (Yellow) and get off at Nishi-Ogikubo Station. *Please note that the JR Chuo-line does not stop at Nishi-Ogikubo on Saturdays, Sundays and public holidays. Take JR Sobu-line on the weekends instead. You can also use the Metro Tozai-line (blue). Leaving the station from the north exit turn left (west). After about 5 minutes the road takes a sharp right (north) and this is the start of the main Antique Street area. There are also buses which run along this road (one-way only) from the station as well as along the road to the north coming from Kichijoji. What To Expect: A variety of shops, big, small, antique, vintage, retro and modern designs. 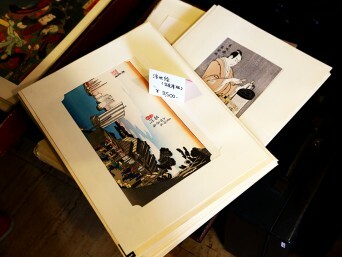 Offering everything from affordable novelties, curios and trinkets to high-end rarities, you will find Japanese and Western fine art and crafts, kimonos, woodblock prints, furniture, glassware, ceramics, retro toys, musical instruments etc. People can sometimes find antique shops a bit intimidating especially if you’re not good with the language or knowledgeable about antiques but have no fear, all the shop-owners here are typical Nishiogi-types, very approachable, helpful, relaxed and friendly. 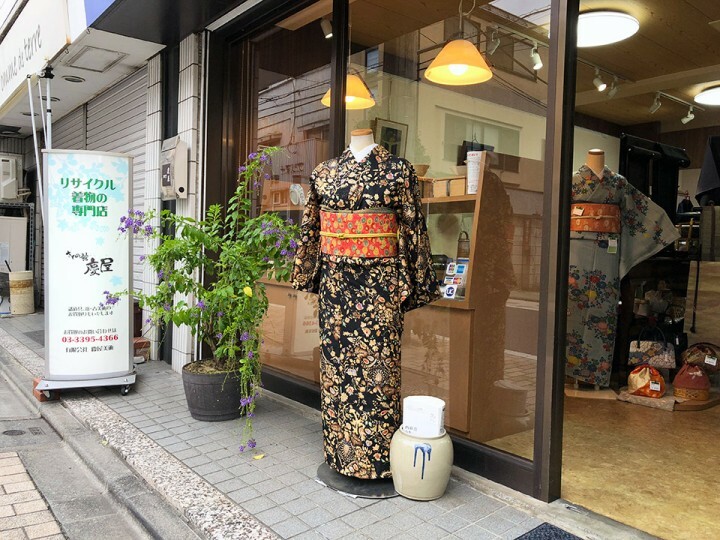 Select Shop Information: At the southern end of the street, Kidoairaku offers Japanese antiques from Edo to Meiji era, most of which are from the proprietor’s hometown Yamagata prefecture which he visits twice monthly. 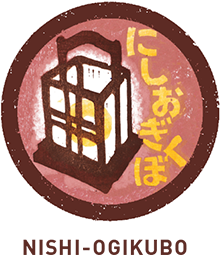 As the shop name suggests, Kidoairaku offers furniture (wood, “ki”), porcelain (clay, “do”), dyed fabric (indigo, “ai”), and joy (“raku”)! In addition to a collection of Imari porcelain wares, and wooden cabinets, Ukiyo-e woodcut prints and Netsuke are also on display. Kinuta Antique Art features antique porcelain, Buddhist art and folk crafts. Kotto Gangu Toritori is a great place for collectors of antique Japanese miniature pieces and dolls as well as one-off items, toys, glass, kimono and fabrics. 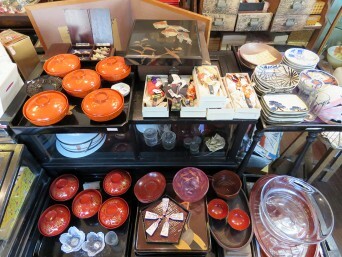 They also carry antique Japanese furniture and tableware. 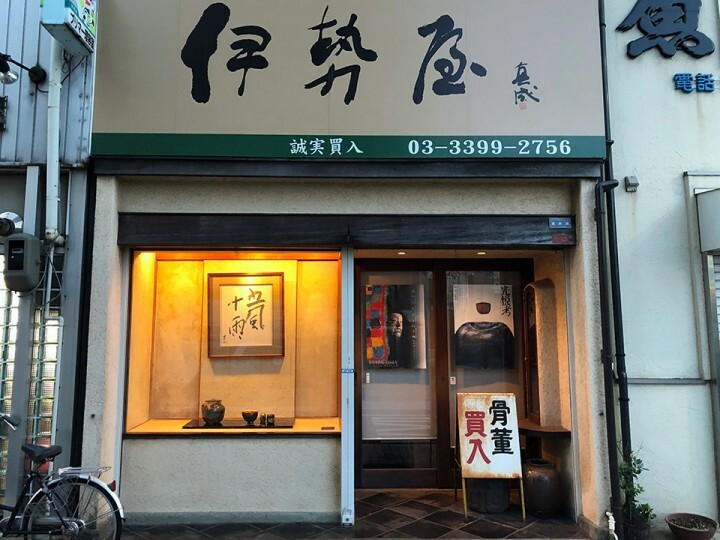 Iseya Arts, almost 70 years old, the longest standing antique establishment in the area, boasts a comprehensive and fine quality collection of antiques particularly tea ceremony paraphernalia, paintings, calligraphy works and crafts among others. At time of writing (October 2018) Iseya Arts is closed for refurbishment and available to view items by appointment only. Two doors down is Gallery Juan, operated by Iseya-Arts. The proprietor’s immense love and passion for art led him to create a gallery space on the ground floor with a tea ceremony room in the basement. The gallery showcases unique exhibitions and artists’ work regardless of genre that capture his discerning eye with fascination and delight. Open: 11:00 – 18:00 Closed on Sundays except during exhibitions. Kimono-Kan Yoshiya has a wide selection re-cycled kimono, many of which are ready to wear and accessories such as obi, kanzashi and bags. Other antique pieces are also on display. Senyudo has a large collection of porcelain, ceramic ware and art mainly from Japan, China, Korea and South East Asia some of which date back 2000 years. 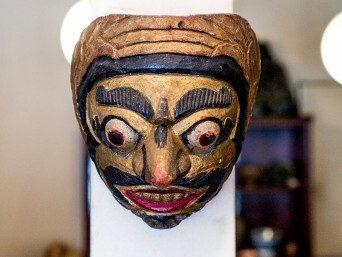 They also have some intriguing traditional masks and other folk crafts. Antiques Jikoh – Founded in 1982, the largest antique store in Nishi Ogikubo. The store spanning three sections – antique art, small objects (crafts, kimono and ornaments, etc.) and furniture, offers diverse items from both Japan and around the world. They also have some vinyl records, electronic appliances and musical instruments. Pick up wooden Kokeshi dolls, very popular in Nishi-Ogikubo as a souvenir or go wild and acquire a massive tall American boat-shaped bar cabinet. Open: 10:00 – 18:30 (Antique art section closes at 18:00) Closed on Wednesdays. 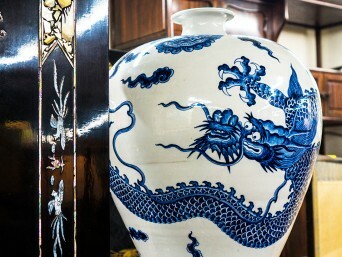 Northwest Antiques was established by a duo who left the nest of Antiques Jikoh to make antiques more accessible. 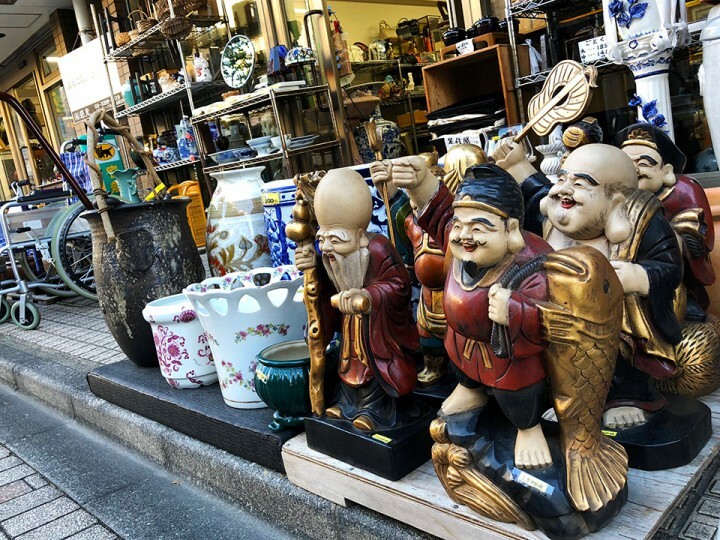 It’s a large, welcoming shop, items are mostly from the West – antiques from the U.K., vintage from the U.S., however, they also stock some Japanese vintage pieces, for instance, white porcelain made for the export market. There are also larger items of furniture and chests most of which have been lovingly restored by the proprietors. Open: 11:00 – 18:00 Closed on Wednesdays. Tanishidou is one of the smaller shops which deals mainly in Japanese Meiji to pre-war period small ceramics, glassware, paper, tea sets and textiles with a few quirky curios dotted around. It’s a good place for international visitors to find alternative items which are affordable and easy to carry. They also have homemade kaki-gori (shaved ice with syrup) in summer! Open: 12:00 – 18:00 Closed on Wednesdays and irregular day off. Feel at Home presents lifestyle with antiques and flowers. Carefully hand-selected antique and vintage pieces with a European feel. Open: Please check the opening times update on their Instagram or website. Rakuda stocks practical ‘Seikatsu kotto (antiques for living)’ featuring glassware, lighting, crafts, furniture, door panels with fitting and joinery service. 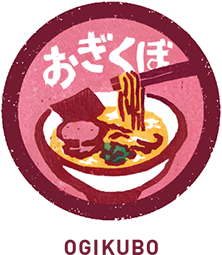 All the items are solely from Japan from Meiji to pre-war periods. 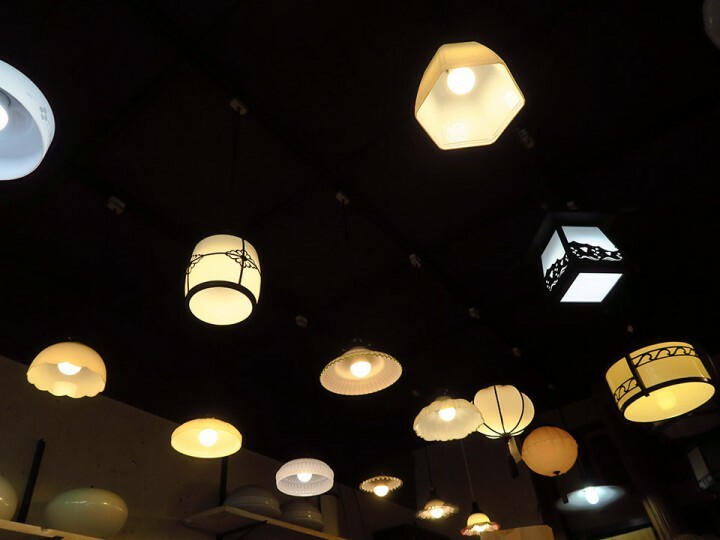 Rows of beautiful Edo kiriko glassware and retro lamps hanging from the ceiling are mesmerising. Open: 12:00 – 19:00 Closed on Wednesdays. Also in the Area: Along the way from the station and around Antique Street there are unique independent shops including cafes, bars, restaurants, several bookshops, a vintage clothes shop (Ototoharu), zakka (miscellaneous goods)/fashion shops (Fall Gallery, Galerie non, Light Cube, Morinokoto, Porto Ponpone, Ametsuchi), and another art gallery (Gallery Sanshitsu). You may notice a French flavour to the street with its old, ornate lamp posts, Monami cafe and the adjacent Boîte, shop which sells all things French. Also on the street there is a Persian carpet store, Bahar. 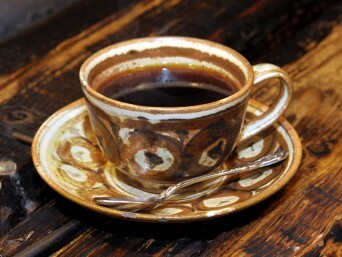 On the way back to the station, if you haven’t already reached antique saturation point, why not pop into the coffee shop Monozuki where you can totally immerse yourself in their display of antiques with a cup of coffee. 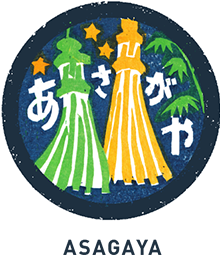 Enjoy serendipitous discoveries and something truly unique whilst you are in Nishi-Ogikubo! When to Visit: Opening days and times are varied but most stores are closed on Wednesday and few places open before midday. Saturday is the liveliest day. Some places have quite irregular days off so if you want a particular place or item it’s best to check before travelling. Etiquette: As there are many old and fragile items on display please take extra care not to damage anything accidentally and communicate with the shop staff before handling any valuable pieces. If you enter a shop with a backpack be sure to remove it from your back before entering so you do not accidentally knock anything over. 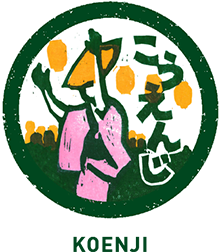 Nishiogi Antique Festival – takes place twice a year on the second Saturday of April and October at the quaint Iogi Kaikan, 80+ years old Japanese building. The 2018 festival showcases 25 antique dealers plus food and coffee vendors. Discover one-off porcelain, furniture, homeware, paintings, calligraphy works, tea ceremony paraphernalia, kimono and more. Get there early to avoid disappointment. Nishiogi Teshigoto Ichi (Nishiogi Handcraft Market) – At the same venue as the Antique Festival, there is a market every 4th Sunday of the month offering handmade clothing, jewelry, crafts, antiques, fruit and vegetables as well as food and tea/coffee. Pick up a copy of the free booklet “Nishi-Ogikubo: Tokyo’s Best Antique District” and enjoy the treasure hunt!